February 12, 2019 – Tonight the Decatur Public School Board of Education will present a middle school learning experience update ahead of plans to merge Stephen Decatur and Thomas Jefferson Middle School. 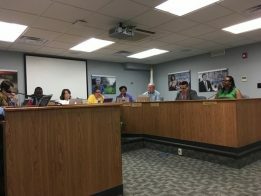 A committee has been working on a plan that concentrates on academy focus with small communities, adding more elective classes and project based learning. DPS says the goal of the plan is to create a middle school which students aspire to attend.